The perfect team — Join us for our next winning season. Tim Yakteen lives in Monrovia with his wife, Millie Ball and their two sons Sam and Ben. His stable is operated from Santa Anita with relocations to Del Mar for the dual race meetings. Whilst under the tutelage of Hall of Famers Charlie Whittingham and Bob Baffert, Tim was instrumental in the development of such horses as Flawlessly and Point Given. In 2013, under his own stable, Yakteen trained Points Offthebench to a Championship year, earning an Eclipse Award for Champion Sprinter. A native of the United Kingdom and a former rider, she is the only woman to have won the Marlborough Cup Timber race. Recognized as a personality on HRTV's former 'Race Day America,' Millie is the on-air racing analyst at Santa Anita Racetrack. Her selections and news can be found on twitter @camillayakteen. She resides in Monrovia, Calif., with her husband, trainer Tim Yakteen, and their two boys, Sam and Ben. 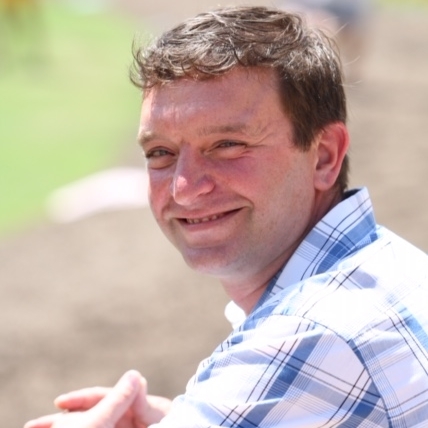 Jon is Assistant Trainer at Yakteen Racing Stables. Whilst working in Lambourn, England for top trainer Henry Candy, Jon was given the opportunity to travel to California. In 2004, Jon was hired as Assistant Trainer to Tim Yakteen and they have shared over a decade of success together training at Hollywood Park before moving permanently to Santa Anita. Ryan Carpenter graduated from UC Davis, school of veterinary medicine in 2005 and went on to complete a surgical residency and combined masters program at Colorado State University where he conducted orthopedic research projects focusing on gene therapy and fracture healing under the direction of the Equine Orthopedic Research Center at CSU. Ryan spends his mornings as an active racetrack practitioner and his afternoons in the hospital specializing in orthopedic and upper airway surgery. When not at the track, Ryan enjoys spending time with his wife, Jill and daughter Brooklyn. From Left to Right: Alex, Toni, Julio, Ramon, Leo, Maria, Clementino, Jose & Carlos in second row.